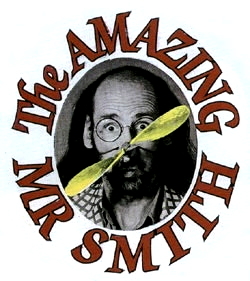 In December last year, in three blogs, I mentioned the death of musical/comedy act The Amazing Mr Smith who died after jumping off a cliff near Bridport in Dorset. The inquest into his death was last month. The inquest into the death of my good pal Derek ‘The Amazing Mr Smith’ took place on Wednesday 19th February in Dorchester. The coroner, Mr Nicholls, said: “One of the matters which the inquest needs to address is whether Mr Smith deliberately took his own life. For that conclusion to be recorded, the evidence has to be such that the coroner is satisfied beyond reasonable doubt. Having looked at the evidence in this case, I am going to return an open verdict because I am not satisfied on the evidence I have before me that Mr Smith intended to take his own life.” And with that the proceedings were closed. It is important we get the facts straight. I had known Derek since 1970. I was his best man when he got married and I made numerous trips from Yorkshire to Dorset after his wife Viva died in April 2009. I guess I drove down every couple of months. He was great fun to be with and we had a lot of laughs together. On the Monday before Derek died, his doctor prescribed Paroxetine/Seroxat, a drug that can, on occasions, cause suicidal tendencies. It is a treatment for depression which Derek never had. Paroxetine is also prescribed for anxiety. For at least a couple of months before he died, Derek was suffering severe toothache that general medicines could not prevent. Anyone who has suffered severe toothache for just 24 hours will know just how depressing that can be. But Derek was NOT depressed. Lack of sleep and pain made him anxious – NOT depressed. According to a specialist at Dorchester Hospital there was, in fact, nothing clinically wrong with his teeth although Derek believed that his jawbone had become infected. The maxofacial specialist he saw explained that this was not the case and told him that he had problems with the muscles in his jaw and it was this that was causing the severe pain in his jaw. Initially, this made Derek a lot happier. I visited Derek in November exactly three weeks before his death. He was in great spirits and very much in love with his girlfriend Annette. There was no indication at that time that he might jump off a cliff, but he did complain each morning that he had slept badly because of his teeth. He visited the doctors again (Thursday afternoon, December 5th) and Annette accompanied him. He pleaded with the doctor (a different doctor to the one who had prescribed Paroxetine) to give him something to “knock me out for 24 hours” (Derek’s words). The doctor was, however, alarmed at Derek’s state of mind and immediately told him to stop taking Paroxetine/Seroxat because he believed it had made Derek suicidal. Derek followed the second doctor’s instructions, but there can be little doubt that the medicine would have remained within his body for a good few days after he stopped taking it. That very morning he had told Annette he had been twice to West Bay with the intention of taking his own life but was relieved because he could not go through with it. This was the reason they had made another visit to see the doctor. Derek certainly felt anxious. He was still in pain. His doctor had not satisfied his needs for pain relief, nor had he obliged in giving him the 24 hours sleep he so desperately needed. Having seen the doctor, Derek now understood his irrational thoughts and behaviour of the previous night. Apparently he was in reasonably good spirits and Derek promised he would tell Annette if he felt suicidal again. 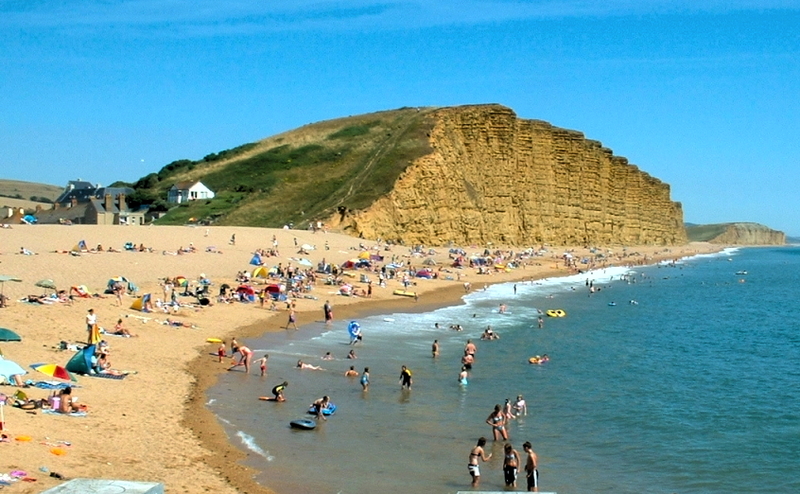 But within 24/36hours he fell to his death from the cliffs at West Bay Bridport. Waking that Sunday morning Annette, finding herself alone, drove immediately to West Bay fearing the worst. Why was only one question asked and why such a stupid question that did not even pertain to his actual death? The doctor who had prescribed Paroxetine/Seroxat only five days before Derek’s death was not called. Indeed no doctors were called. Evidence about his medication and visits had been submitted, but the coroner chose not to include this information in the medical evidence he mentioned at the inquest. 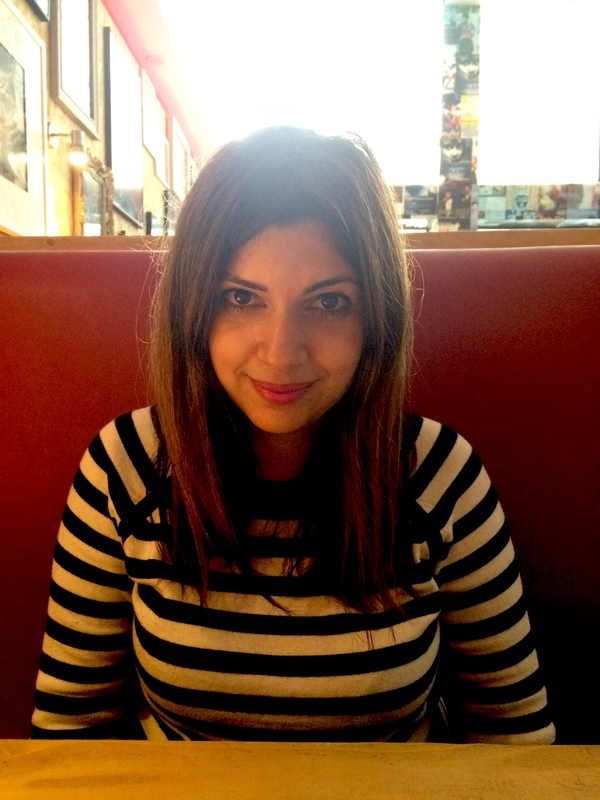 When Annette, at the end of the inquest, asked the coroner why the doctor who prescribed Paroxetine/Seroxat was not called he refused to answer on the grounds that the inquest was now closed. No-one from the medical profession was present at the inquest. No mention was made of the fact that Derek had been to his GP’s surgery twice in the last week of his life due to a long-standing problem with pain in his jaw, which was preventing him from sleeping and causing anxiety. As mentioned above, he went first on Monday 2nd December to get help for the pain, lack of sleep and consequent anxiety and was prescribed Paroxetine. He went back three days later and saw another doctor after becoming suicidal immediately after taking Paroxetine. Nothing was said at the inquest about the second doctor telling him to stop taking Paroxetine because it was making him suicidal or about the fact that he was then prescribed Mirtazapine. Why was this insignificant detail from almost a year before mentioned, yet recent and important information about the visits to his doctor and his medication omitted? We have to wonder why the coroner chose not to mention that the second doctor had stopped the Paroxetine because it had made Derek suicidal. Curiously the local paper The Dorset Echo, which reported the inquest, seems to display a similar timidity when it comes to reporting anything which might possibly upset GlaxoSmithKline (the manufacturers of Paroxetine) and implicate Paroxetine. The original wording in the article was also changed from describing Paroxetine as “a drug with links to suicide” to the more cautious description of it as “a drug with alleged links to suicidal thoughts”. I understand Paroxetine is no longer prescribed to young people because of proven links to suicide in this age group and long-standing campaigns exist to stop Paroxetine from being prescribed to all ages because of links with suicide. It is odd that some changes to the online report of Derek’s inquest appear to have been easily achieved, possibly in order to appease GlaxoSmithKline and avoid lawsuits, but, when Annette and Derek’s family requested corrections to the numerous factual errors in the article, no changes were forthcoming. The question I ask myself is the same question Annette asked the coroner: Why was the doctor who prescribed a drug that has side effects that can cause suicidal tendencies not called? Frankly the whole thing has a nasty smell of a cover-up by the coroner to protect the doctor or perhaps because of the controversy surrounding Paroxetine/Seroxat. (a) Why Derek was prescribed a drug that encouraged suicide? (b) Why the doctors involved were not called to give evidence? Paroxetine is an SSRI anti-depressant released by GSK in 1992 and sold as Paxil, Seroxat, Aropax, Brisdelle, Pexeva and Sereupin. The company’s promotion of the drug for children was one of the grounds for the 2012 fraud case in the United States. For 10 years the drug was marketed as “not habit forming,” which numerous experts and at least one court found to be incorrect. Approximately 5,000 US citizens have sued GSK after using paroxetine; lawsuits have also been filed in the UK. The lawsuits allege that the drug has serious side effects, which GSK downplayed in patient information. In 2001 the World Health Organization ranked paroxetine as the most difficult antidepressant to withdraw from. In 2002 the FDA published a new product warning about the drug, and the International Federation of Pharmaceutical Manufacturers Associations said GSK had misled the public about paroxetine and had breached two of the Federation’s codes of practice. In early 2004 GSK agreed to settle charges of consumer fraud for $2.5 million; the drug had $2.7 billion in yearly sales at that time. GSK said that the commercial had been reviewed by the FDA, and that it would not run again. In March 2008 the Medicines and Healthcare Products Regulatory Agency concluded that GSK should have warned of the possible ill effects of taking paroxetine a lot sooner. GSK could not be prosecuted under the old legislation. As of 2008 GSK’s prescribing information acknowledges that “serious discontinuation symptoms” may occur. Court documents released in October 2008 indicated that GSK “and/or researchers may have suppressed or obscured suicide risk data during clinical trials” of paroxetine. The suppression of the unfavorable research findings and the legal discovery process that uncovered it is the subject of Side Effects (2008), a book by Alison Bass. A fortnight ago, I blogged about the death of music and comedy act The Amazing Mr Smith. 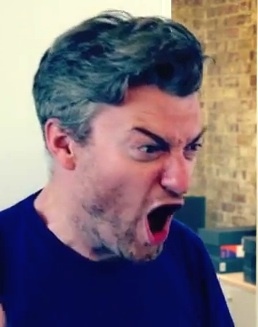 And followed it up with comedian Martin Soan’s memories of him in a second blog. His friend and former manager Joe Stead now tells me: “His state of mind the last nine months had actually been very good. He had a wonderful new girl friend. I popped down to Dorset regularly after his wife Viva died in 2009 to keep an eye on him. I was last there (twice) in November when he was in good spirits except for toothache. 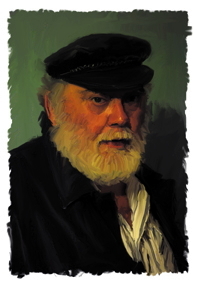 Derek (The Amazing Mr) Smith was born a genius on the 1st April 1948. Now whether you believe in astrology or not you have to admit that out of the 366 days in which Derek could have chosen to be born that year, he chose the 1st of April. A pretty toxic mix don’t you think? He had an IQ of over 160 and history is littered with people of equal or near intelligence all of whom walked the fine line of normality as they knew it. Spike Milligan was another hyper intelligent man who had spasms of deep depression that plagued him throughout his life. There was a time in the sixties when Milligan was living with his then wife near me in a house in Blackheath, London. Spike lived upstairs, his wife lived downstairs. They weren’t really talking to each other. But Spike would phone her up every time he wanted a cup of tea. Educated at a grammar school in South East London, Derek went on to Bristol University graduating sometime in the late 1960s with an honours degree. He went to work at Burroughs Wellcome in Beckenham (later to become GlaxoSmithKline) as one of their top scientists specializing in heart diseases. He stayed in that employment until 1994 when he and his wife Viva bought the house down in Loders, Dorset. One of the first things he did, to fill his spare time when he arrived, was to take Pure Maths at University Degree level. He took two exams and got 95 and 99 percent marks. He was genuinely annoyed he didn’t get 100 in both exams because he couldn’t see anywhere, in his reasoning, where he had gone wrong. He was, of course, an inventor par excellence. And most were quite simple inventions that you and I would never dream of. The condom bagpipes being just one example. I remember one time, before he moved to Dorset, visiting him at his house in Bromley. He had taken a standard dining chair, sawn the back off it, drilled holes up each leg and he had it hanging from the ceiling as a lamp shade. I actually first met Derek around about 1970. It might have been a little later; I can’t remember the exact year. 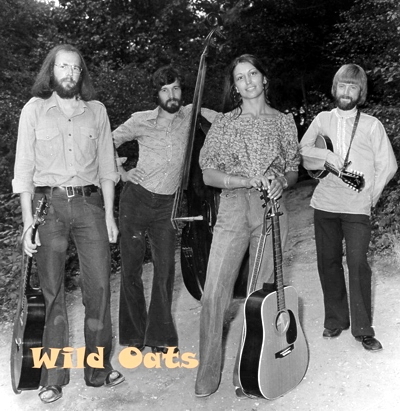 Derek had appeared on the folk scene in South East London performing as the guitarist in the group Wild Oats. Viva was lead singer. Ray Tassie played mandolin, with Mike Flood on bass. Ray tells me that apparently Derek, not Viva, worked out the four part harmonies for the group and he did them all at the same time. Note by note. He was never wrong. 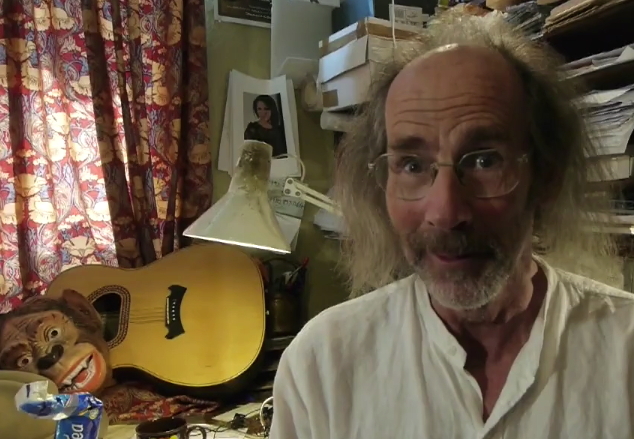 He was able to work on four harmonies at the same time note by note – and the bloke couldn’t even sing! Derek and I became the closest of friends and we did many crazy things together. All instigated by Derek of course. In January of 1982, Derek came to my flat in Greenwich to ask me if I would be his best man. Viva apparently said “Yes,” and went back to sleep. A slightly off-the-wall marriage proposal I suppose. But, with Derek, I guess you would expect nothing less. And so it was, as his best man, I got him to the church on time – and only just, if I’m honest, as we couldn’t find the church. I’ll tell you about some of the crazy things. There was the time he showed up at my house just before Christmas one year to go out for a Christmas drink. In those days, Derek was always super untidy. When I opened the door, he was in full evening dress – bow tie, the lot – and carrying a parcel which apparently was my Christmas present. I was really very embarrassed that I had not thought of buying him a Christmas present until he explained it was my present to him. When he entered the house, I suddenly realised that his evening jacket was rent at the back, down the middle, from collar to hem. In fact, it was only the collar holding it together. It sort of flowed open at the back showing his white shirt. Apparently we were off to Welling on a pub crawl and I was to give him my present when we were in the first pub. At the pub, Derek dashed off to the bar to get the drinks, making sure at least half the occupants saw his jacket, while I sat at a table with the parcel. Not knowing what was in it. When he came back, he enthused really quite loudly that I had bought him a present. He opened up the parcel and therein was the most hideous jacket you could ever imagine any American wearing to church on a Sunday morning. Derek was, of course, delighted with it and he swapped jacket immediately putting the dinner jacket with the rent back straight back into the brown paper parcel. Thus we made our way to the next pub and the whole procedure was acted out again in reverse. We did that all night going round at least eight, maybe ten, pubs drinking half pints to try to stay as sober possible. This was an impossibility in Derek’s case because, in those days, it only took a pint or maybe two to get him completely pissed. A bit childish you might think. Not for Derek. He was in his element. He had a great need to entertain people. I remember a time in Northolt High Street when he proceeded to water lamp posts, telegraph poles and phone boxes with a kettle he had filled in a friend’s kitchen. When he got to the bus stop, the queue all backed away from him by about three feet. And this was years and years before anybody tried making a TV programme like this. One hot summer Sunday lunchtime in early May, we stopped off at Teignmouth for a drink at a pub by the dockside where workmen were laying huge pipes about 2 feet in diameter by about 45 feet long on the other side of the bridge. The pipes were stacked up on the dockside about 30 yards from the pub. A lot of people were drinking outside. Derek disappeared, ostensibly to go to the bathroom, but instead he appeared alongside the piping. Bending down, he sung into the pipework: “Day-o; Day-o, Daylight come and I want to go home” very loudly. He then ran the 45 feet or so to the end of the pipe, cupping his hand to his ear to hear the sound come out the other end. He did this at least half a dozen times, always from the same end, much to the amusement of the people drinking on the dockside, not to mention the workmen who were all totally non-plussed. I heard somebody nearby murmour: “The lunatic must be drunk”. I turned and said: “No, it’s just a man with an IQ over 160 acting quite normally”. His humour camouflaged a creative, sensitive, vulnerable man who, with careful artistry, consistently challenged his own inventiveness and put everyone, including himself, outside of their comfort zones. He never ceased to amaze. I would like to thank those of you who wrote expressing their amazement and horror at the awful events that occurred in West Bay, Bridport in the early hours of Sunday December 8th. 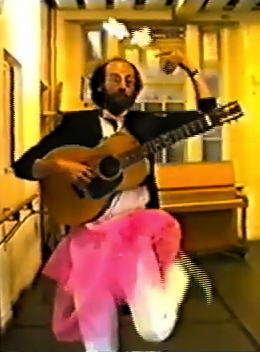 …and snippets of his various acts on YouTube. BBC TV’s current affairs series Panorama transmitted a programme on the dangers of Seroxat in 2002. The transcript is HERE.